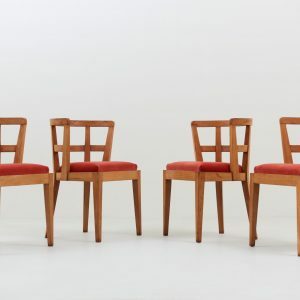 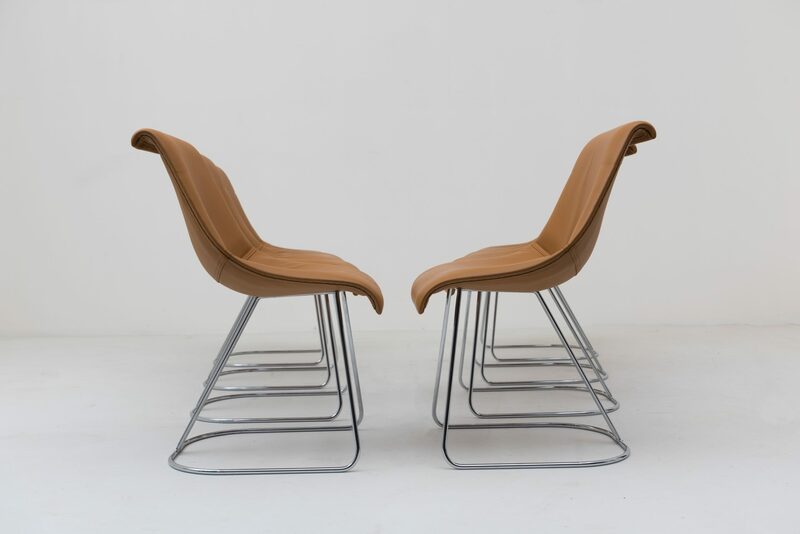 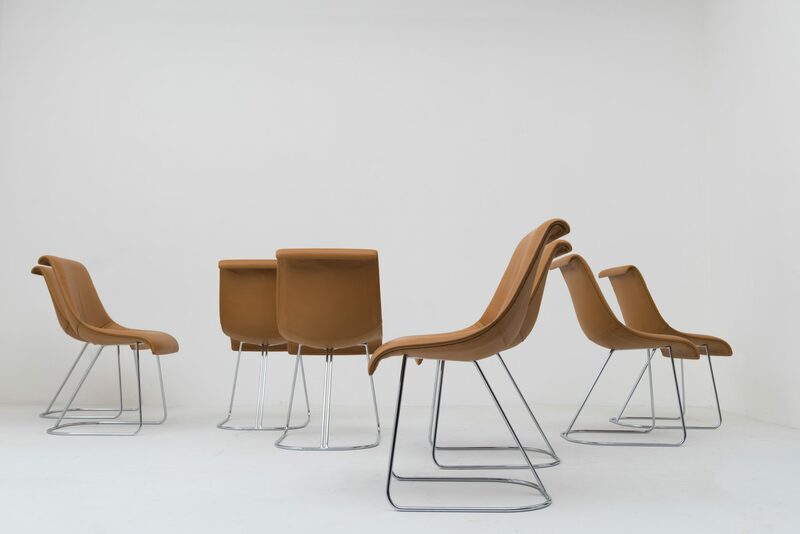 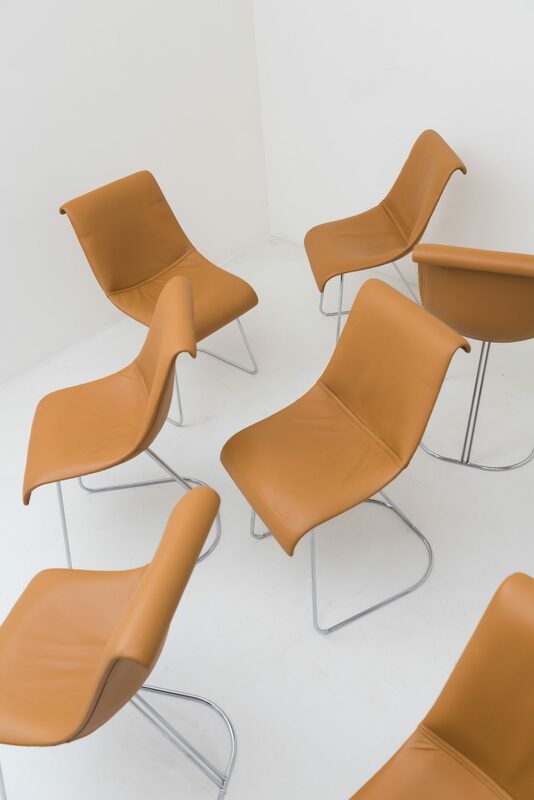 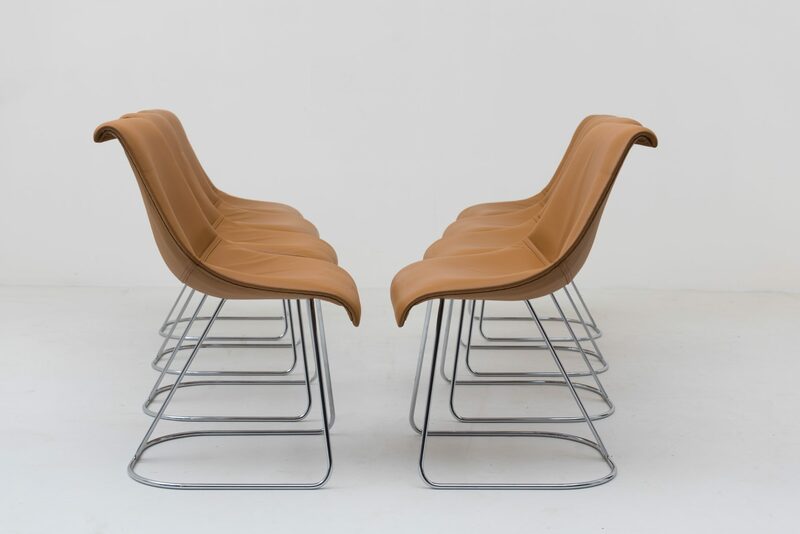 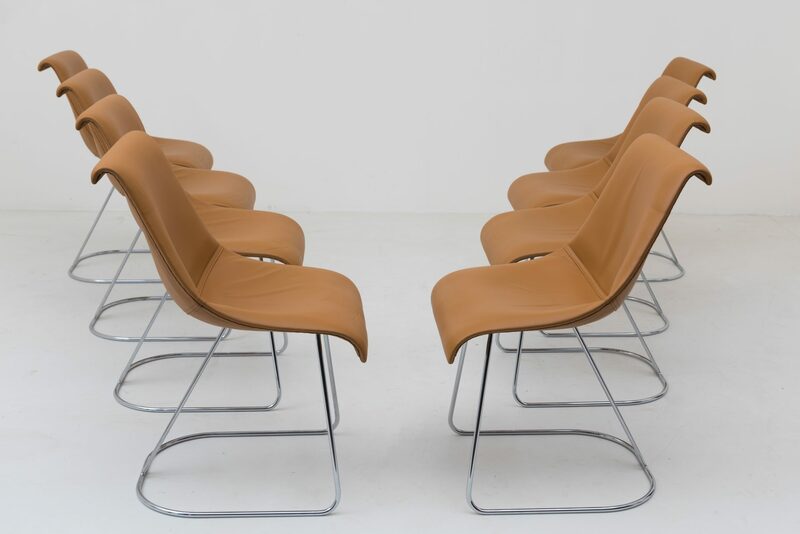 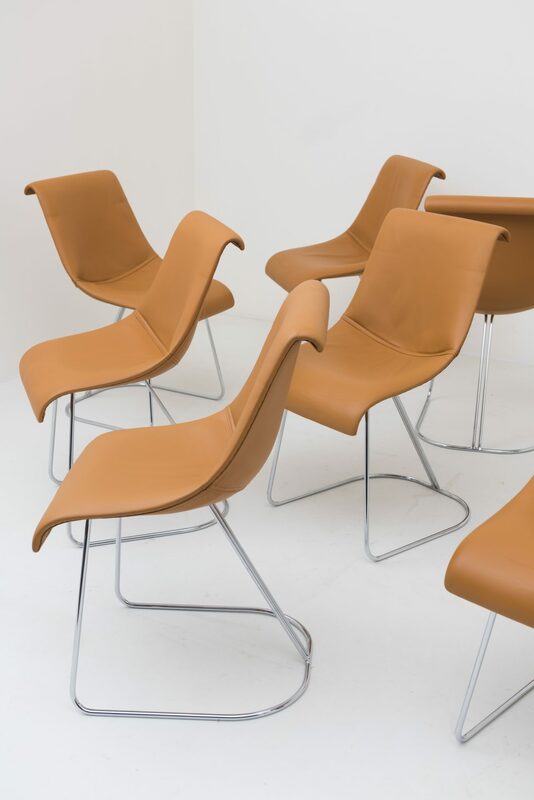 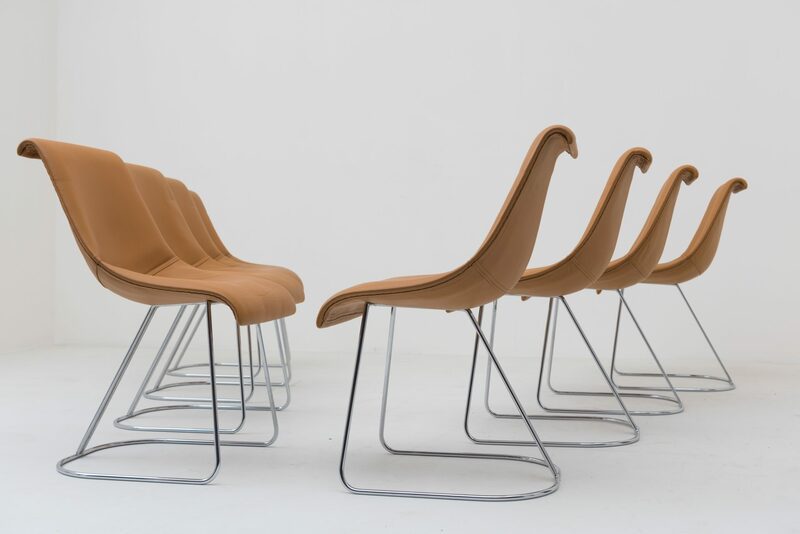 A group of highly comfortable leather chairs designed by Vittorio Introini in 1970. 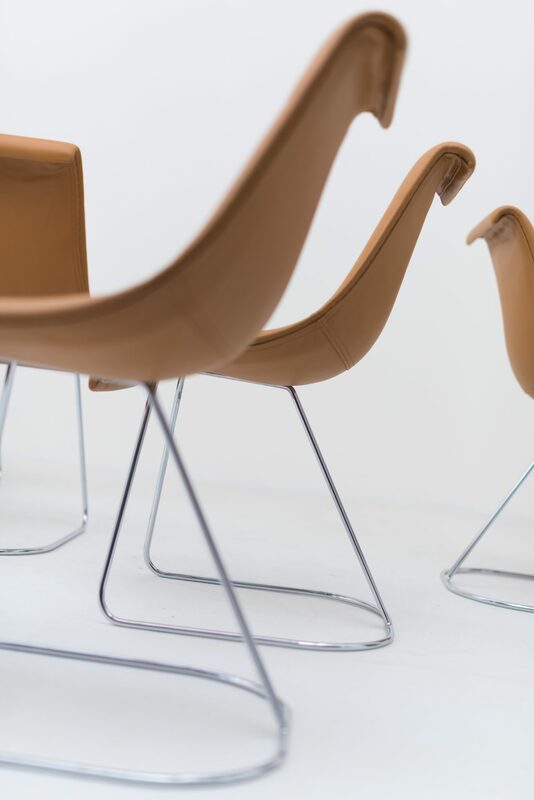 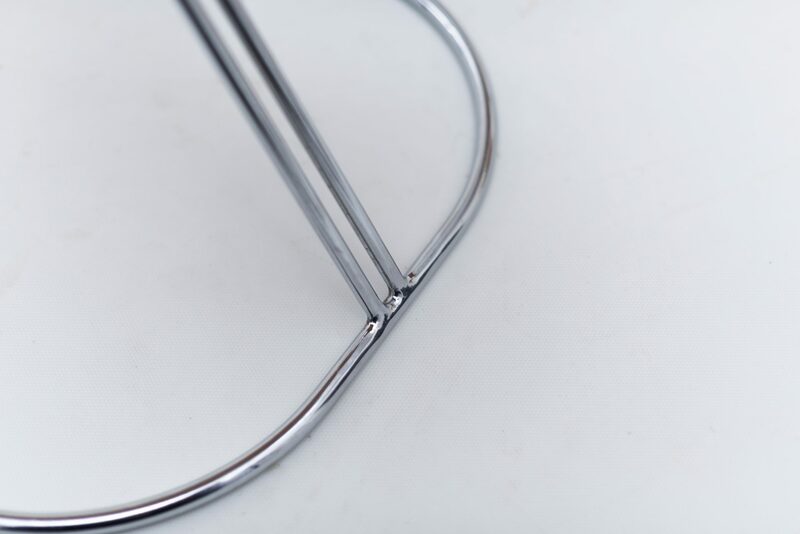 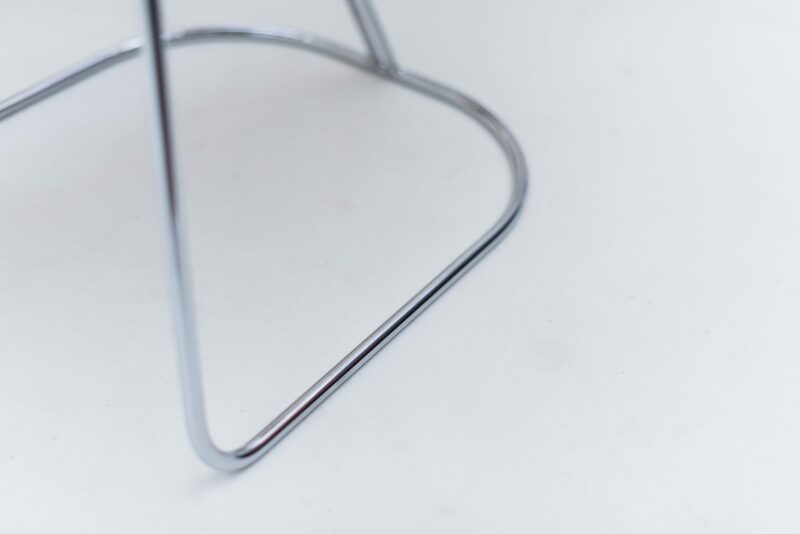 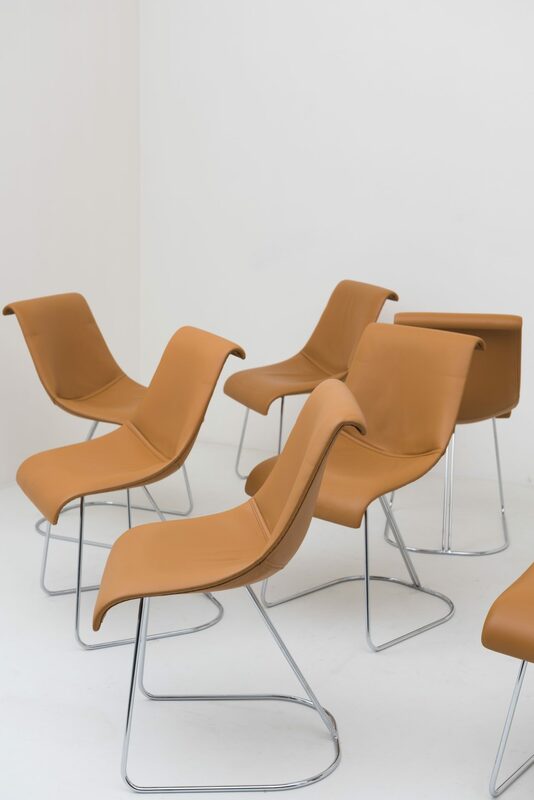 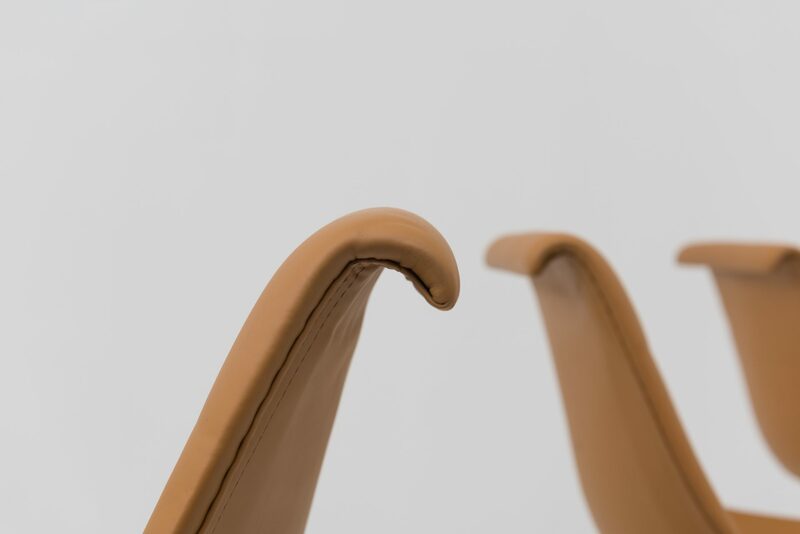 The Talus chair has a smart and elegant profile and a practical end of the back that curves, which makes it easy to carry, replace and rest your arm on during conversations. 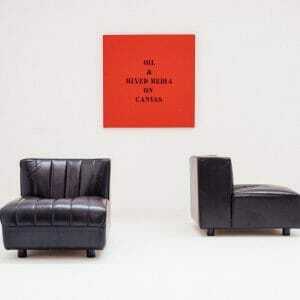 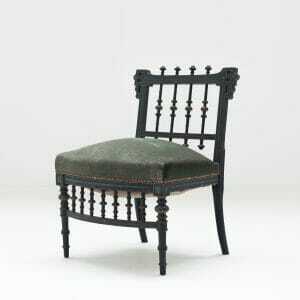 It was produced only on a very small scale. 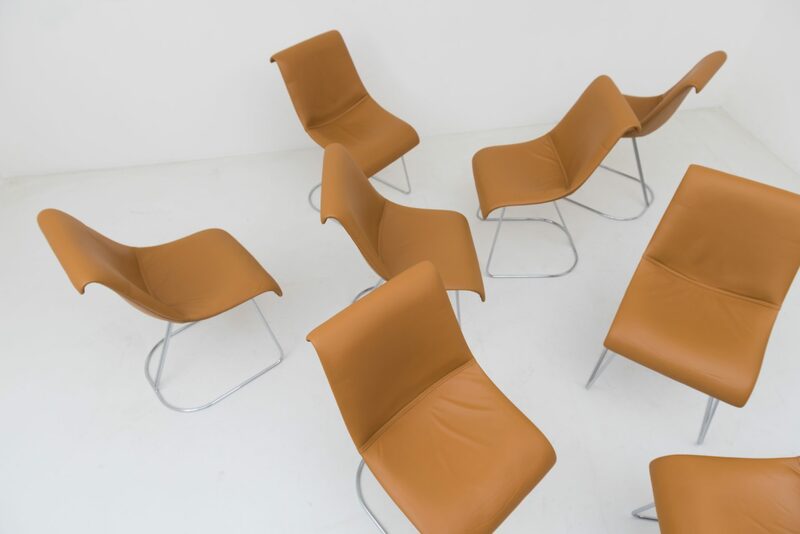 The cognac colored leather is original and in very good condition.